...said Marcel Hirscher recently about Marco Schwarz. This notion may be bold, but it is more than justified: the 23-year-old skier is developing into a potential winner this season. After already achieving three podium finishes, the man from Villach is showing promising form in the new year: On 1st January, Schwarz celebrated the first World Cup victory of his career in the parallel slalom in Oslo . Further success followed only two weeks later in the Combined at Wengen. The technical specialist has also drawn attention to himself in the Giant Slalom discipline: he finished 7th in Adelboden, despite having the relatively high start number of 67. The athlete from Kärnten is already an Olympic medal winner: he won silver in the team competition in Pyeongchang, together with Stephanie Brunner, Manuel Feller, Katharina Gallhuber, Katharina Liensberger and Michael Matt. 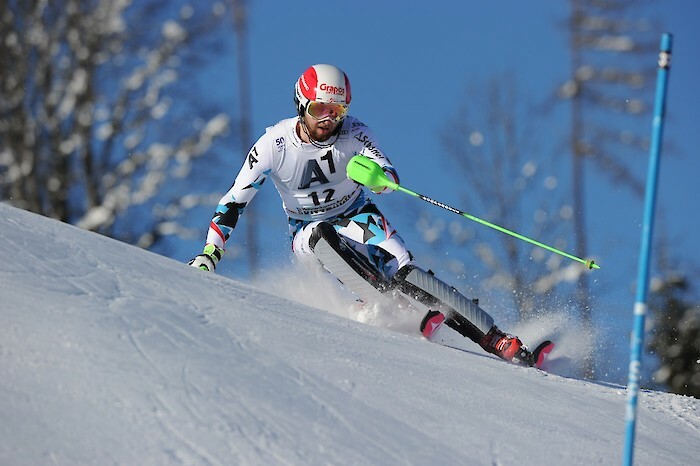 Schwarz is still waiting, however, for his first podium finish at Kitzbühel: the racer finished eighth in the Slalom of 2017. His best result thus far on the Ganslern Slope.